I’ve had my vanity table for about a year or so. And over the time it’s become a dumping ground for everything beauty-wise in my life. When we moved into our new home this April, I did a mass clearout, anything that I wasn’t using, was old or I was holding onto for no reason, went. Somehow, it got filled up again. Partly because I get given nice products from companies (thank you again lovely brands) and partly because I was trying out a new look. Now, I’m just ready to do a makeup clear out and start afresh. Simple and refine. Just like my style. Categories first before you start to assess. Put everything into piles. Foundation, eyeshadows, eyeliners, lipsticks. Everything into their own sections. It gives you a much clearer sense of exactly how much of each product you have, making it easier to come to the realisation that you really don’t need seven lipsticks of identical reds. Once categories, go through one at a time and don’t move on until you’ve completed that section. Otherwise, you’ll get lost and lose momentum. Be honest about the expiry dates. Most of our makeup have expiry dates on them (the little pot with a number and the letter m next to it- see the picture below). This tells you how long you should keep the product before it goes off. Now, be honest, how often do you follow this guideline? Now think about it, how gross is that mascara that you’ve now realised you’ve kept for two years? 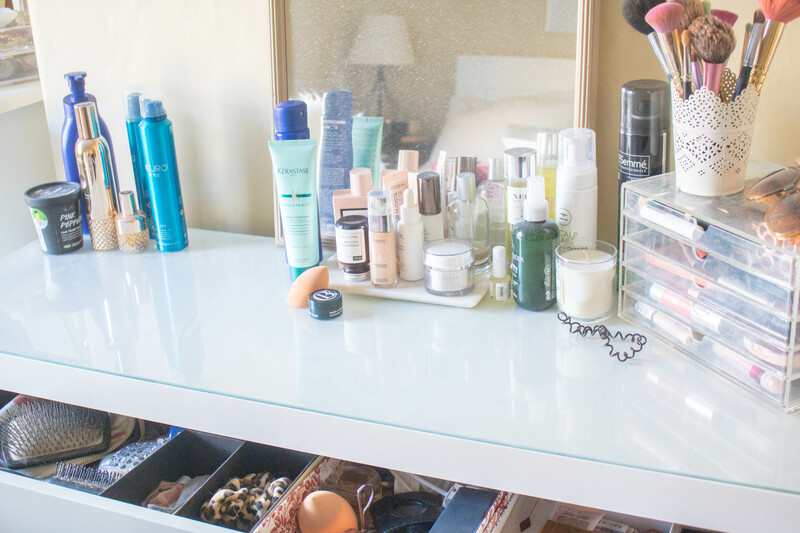 When you’re doing your makeup clear out, be brutally honest about when you got the product. If its 100% over that expiry date, get rid of it. Be truthful about if you actually need it. 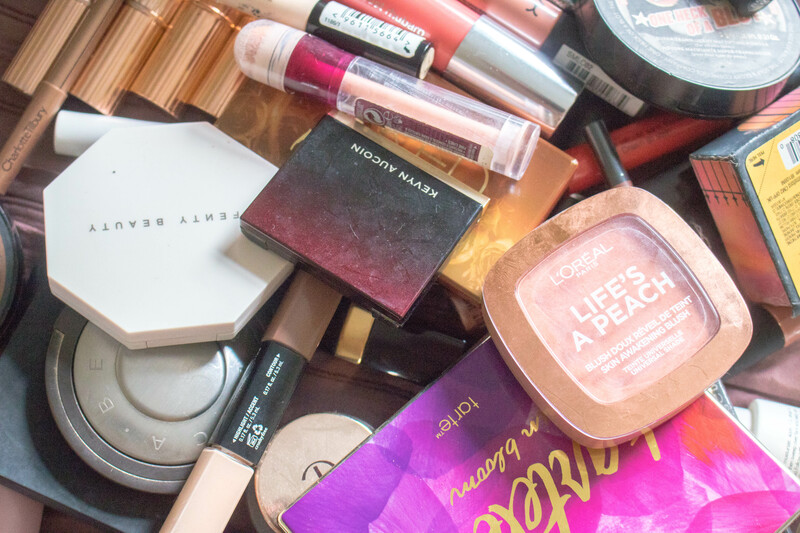 Every single one of us makeup hoarders has some product that we’re holding onto for some reason. I was holding onto a small pot of golden highlighter because it was my go-to on a Saturday night out. However, it’s been a year since I went on that type of night out, so why am I wasting space holding onto it? If it’s something you 100% no longer use, get rid of it. The only two products that I think are exempt from the rule is eyeshadow and lipstick. Though I got rid of a number of eyeshadows, there were a few palettes I help onto because I’m experimenting with them, but it’s not a constant thing. Same with lipstick. I have a gorgeous berry lip that I really only wear from October- January. As long as it’s in date, I think it’s fine to hold onto. Keep a list of missing/ replacement products. As you go along, there will be products you’ll realise that you’re missing. Or there will be that lipstick that’s gone out of date but you still really love. Keep a list and use this as motivation to keep going. Reward yourself at the end of this process. You Deserve it. Clean as you go. While you’ve got all your products out of their usual place, give it a good clean. I can’t think the last time I did this. Same with makeup brushes. I always attempt to clean them on a monthly basis, but there will be a month or two I forget. So while you’re doing your makeup clear out, clean your brushes and let them dry during this time. I’ve also set myself a monthly reminder so that I now complete this every month. 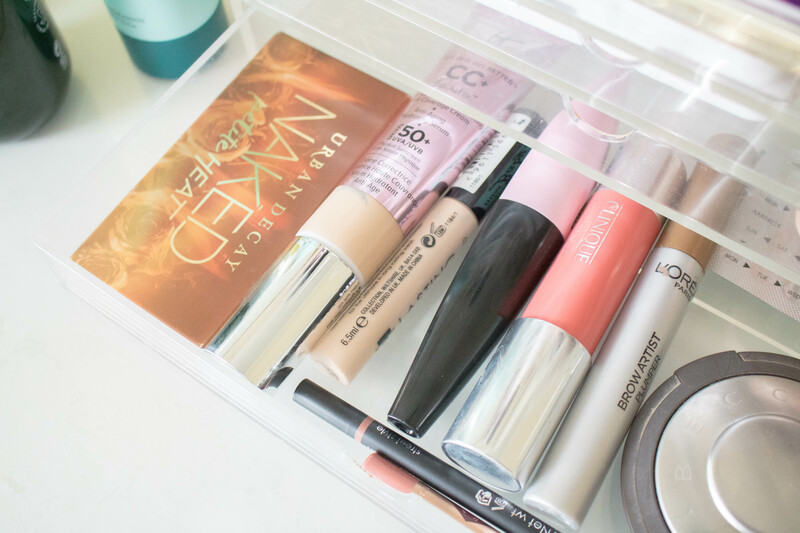 When are you doing your makeup clear out? Let me know how it goes! 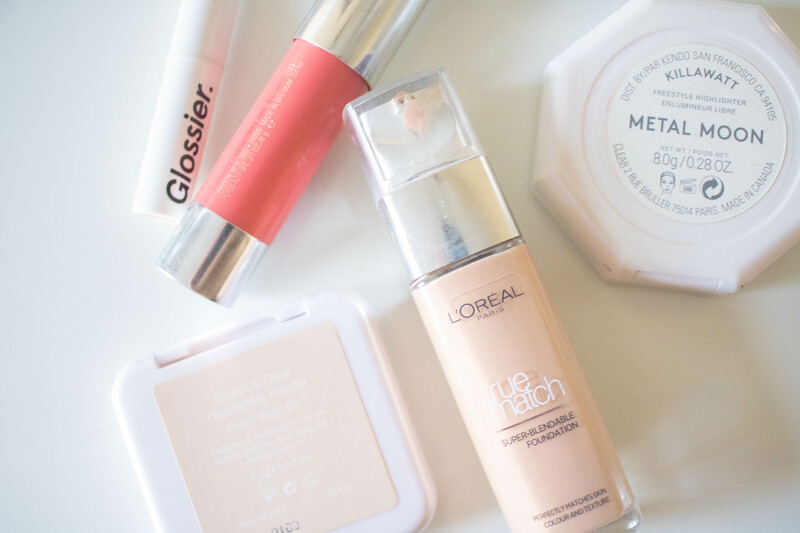 Check out my other beauty posts here on the blog.